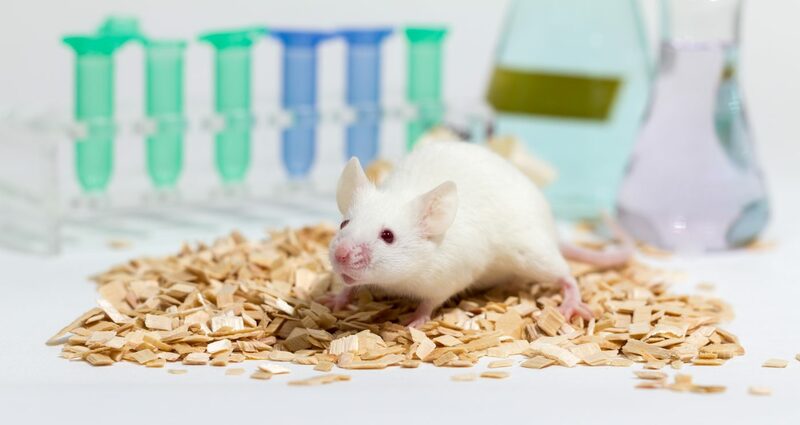 San Rafael, California-based biotechnology company BioMarin Pharmaceutical’s experimental drug drisapersen, which is under development as a new treatment for Duchenne muscular dystrophy (DMD), is ready to enter the market pending approval by the U.S. Food and Drug Administration (FDA). 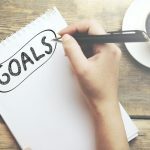 According to The Muscular Dystrophy Association (MDA) — a global nonprofit health agency dedicated to finding treatments and cures for muscular dystrophy, amyotrophic lateral sclerosis (ALS) and other neuromuscular diseases — drisapersen’s imminent market debut marks an exciting and historic time for the MDA community, and an important milestone for DMD treatments. 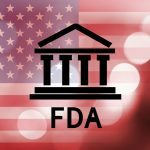 In what is anticipated to be the final hurdle before the FDA makes its decision, an agency advisory committee will review the drug and provide a recommendation to the regulatory agency. The advisory committee meeting for drisapersen is scheduled for Nov. 24, and the Prescription Drug User Fee Act (PDUFA) action date by which the FDA must make a decision on the drug is Dec. 27, 2015. Duchenne muscular dystrophy (DMD) is a genetic disorder characterized by progressive muscle degeneration and weakness. It is one of nine types of muscular dystrophy and afflicts roughly one in every 3,600 boys born in the United States. These children usually experience progressively severe muscle weakness, which will eventually confine them to a wheelchair, usually in early adolescence, and lead to full paralysis. The disorder is caused by mutated dystrophin genes, which encode dystrophin — a protein whose function is to help keep muscle cells intact by connecting muscle fibers to surrounding external matrixes, thereby preventing injury. In 1986, MDA-supported researchers identified a particular gene on the X chromosome that when mutated leads to DMD. In 1987, the protein associated with this gene was identified and named dystrophin. Lack of the dystrophin protein in muscle cells causes them to be fragile and easily damaged. Symptom onset is in early childhood, usually between ages 3 and 5. Duchenne muscular dystrophy has an X-linked recessive inheritance pattern and is passed on by the mother, who is referred to as a carrier. Carriers have a normal dystrophin gene on one X chromosome and an abnormal dystrophin gene on the other X chromosome. Most carriers of DMD do not themselves have signs and symptoms of the disease, but a minority do. DMD sufferers are nearly always boys, because of the dystrophin gene’s being located on the X chromosome, and most usually did not survive much beyond their teen years. However, thanks to advances in cardiac and respiratory care, life expectancy of persons with DMD is increasing and survival into the early 30s is becoming more common. There are cases of men living into their 40s and 50s. MDA-supported researchers are actively pursuing several promising strategies addressing DMD, such as gene therapy, exon skipping, stop codon read-through, and gene repair. Human clinical trials are underway for some of these strategies. Drisapersen is an exon skipping drug that is administered by subcutaneous (under the skin) injection, and that targets a section of the genetic code called exon 51 in the dystrophin gene. 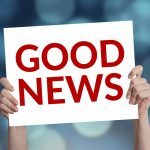 If approved by the FDA, drisapersen will be the first approved treatment designed to target the underlying cause of DMD, and although not a cure, drisapersen potentially could lessen the muscle weakness and atrophy that is the disease’s hallmark. Exon skipping is a strategy currently being developed for DMD, in which sections of the genetic code are skipped during the protein manufacturing process, allowing cells to create shortened but partially functional dystrophin protein — the muscle protein missing in DMD. 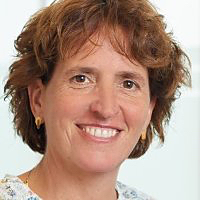 Laboratory development of exon skipping began in the 1990s, and MDA has funded extensive research into the strategy since that time, and supported early development of drisapersen via funding research by Judith van Deutekom, then at Leiden (Netherlands) University Medical Center and now VP of Drug Discovery at BioMarin Nederland BV. The MDA estimates that 13 percent of boys with DMD may benefit from skipping exon 51, noting that many children with a mutation in the dystrophin gene do not know exactly where the mutation is or what type it is. Consequently, genetic testing is needed to pinpoint the exact nature and location of each individual’s dystrophin mutation and determine whether or not a drug such as drisapersen, that targets and skips exon 51, will be helpful. At this time, the MDA says drug developers are working on therapies to target exons that are likely to help the greatest number of people, with researchers currently working on development of exon skipping drugs to target exons 44, 45, 50, 52, 53 and 55, with some working on strategies to target multiple exons. Dr. van Deutekom says her focus is on identifying and developing innovative RNA modulating therapeutics for rare genetic, neuromuscular and neurodegenerative diseases. She now heads a group of 20 scientists and technicians working on innovative ideas for oligonucleotides with improved chemical characteristics and new RNA modulating therapies up to in vivo proof-of-concept. In addition, Dr. van Deutekom is the inventor of 13 patent applications on exon skipping and RNA modulation, primarily for Duchenne Muscular Dystrophy, Huntington’s Disease, and Myotonic Dystrophy, and has been responsible for maintaining and expanding Prosensa’s IP portfolio with external E.U. and U.S. patent lawyers, including FTO and third party patent monitoring, and for addressing office actions and multiple European appeal opposition, and U.S. interference procedures. The Peripheral and Central Nervous System Drugs (PCNS) Advisory Committee reviews and evaluates data concerning the safety and effectiveness of marketed and investigational human drug products for use in the treatment of neurologic diseases and makes appropriate recommendations to the Commissioner of Food and Drugs. One of 48 technical and scientific advisory committees, it is responsible for reviewing potential treatments for DMD. In general, an advisory committee includes a chair and several members, plus a consumer, industry, and, sometimes, a patient representative. Additional experts with special knowledge may be added to committee meetings as needed. Although the committee provides advice to the agency, the FDA makes the final decision. You can find out more about FDA Advisory Committee Meetings here. 2) Make an oral presentation at the committee meeting. Oral presentations will be scheduled between approximately 12:40 p.m. and 2:40 p.m. on Nov. 24. The window to register as a speaker is now closed. 3) Participate as an audience member. Visit the FDA website at http://www.fda.gov/AdvisoryCommittees/AboutAdvisoryCommittees/ucm111462.htm for procedures on public conduct during advisory committee meetings. Click here to view directions for public meetings at the FDA White Oak Campus. A free-of-charge, live webcast is planned for the Nov. 24, 2015, meeting of the Peripheral and Central Nervous System Drugs Advisory Committee meeting. Webcast information will be made available at least two days in advance of the meeting at: 2015 Meeting Materials, Peripheral and Central Nervous System Drugs Advisory Committee. In addition, the webcast will be archived for viewing after the meeting concludes. Tagged BioMarin Pharmaceutical, DMD, drisapersen, Duchenne, Dystrophin, exon-skipping, MDA. I, his aunt, also have Myotonic Dystrophy, type 2 (I am 65 years). My son is 13 and has Duchenne MD, he is still mobile but not much, he is finding it more difficult to be on his feet and sometimes resorts to crawling inside the house. I can tell he is weakening. I’d really like to know the results of all the trials going on. Hie ..am Shagun from India. My brother is suffering from DMD and is 2o. He is on a regular treatment of physiotherapy and Ayurvedic medicines.. I don’t know about his future.. just want that he is good in his life.. I don’t know about any other treatments for DMD in India.. if anyone of you can suggest some good medicines and treatment.. or even a good dr for him.. pls reach me out.. I too find that he has reserved himself in his own zone.. and avoids people too.. plss help me.. I’ll be really greatfull..
My son cpk report 16000 i consult neurofigiesiyan she said your son is dmd pasent i start naturotherapy treatment i m right?